Hi and thanks for stopping by my blog today. My son, Justin, turns 25 on August 11th and I wanted to make him a birthday card with cats (because he LOVES cats). So who else but Tim Holtz would have a cat that is masculine enough for a 25 year old? 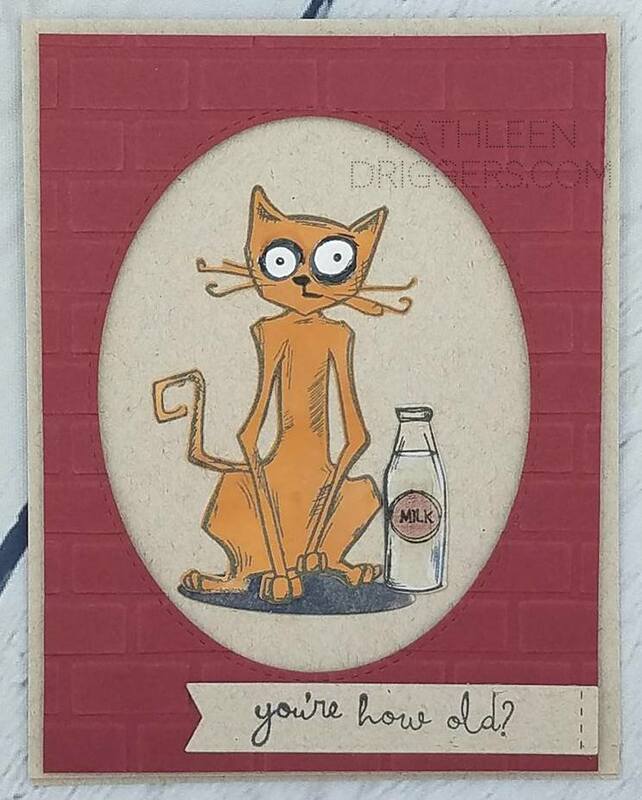 I used the Kat Scrappiness Double Stitched Ovals, Tim Holtz Crazy Cats stamps and matching dies, along with a brick embossing folder from Darice to create this birthday card for Justin. The supplies I used to create this card listed and linked below for your convenience.